Foreverlamp is the only manufacturer of big lumen LED plug and play replacement lamps and high performance LED fixtures for replacement of HID. This approach gives Foreverlamp’s customers choice and significant flexibility, to choose just the right solution – all at great prices and performance levels that lead the industry in terms of lighting output, quality and aesthetic design. LED lights installed & counting including 200+ installations of 500 or more lamps. Light quality is as important as the technology which powers it. Foreverlamp has innovated the next generation of smart high bay led lighting designed to give warehouse or retail operations the light they deserve. Foreverlamp True Up-light provides dynamic two way lighting with special reverse LED facing diodes to give the best possible up-light solutions for any application. Making the switch to LED lighting is easy. Choosing a brand that will increase your ROI just got even easier. Foreverlamp fixtures and lamps are rated to last up to 60,000 hours further reducing the overall cost of replacing your existing HPS and MH. Don’t wait to start saving money – every day you hold back changing to Foreverlamp your operations continue to spend money on costly energy and HID lamp replacements. Foreverlamp LED products carry a 5-Year Limited warranty from the date of original purchase so you can rest easy and enjoy the savings for 5 years. Foreverlamp’s innovative designs in lamps and fixtures come from over 30 years experience in lighting electronics. Our R&D is constantly developing innovations that are “firsts” in the industry. Whether it’s high lumen plug and play lamps or innovative fixture designs Foreverlamp is an industry leader in quality with over 200,000 units in the field to prove it. 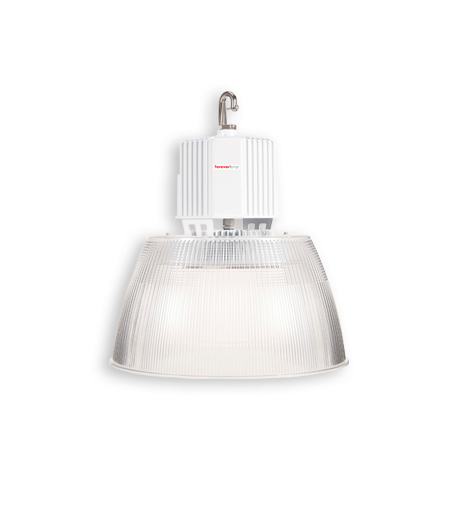 Foreverlamp products are designed for a true “Plug-and-Play” solution to LED retrofit projects. Say goodbye to costly relamping initiatives and get instant savings when you relamp with Foreverlamp LED lighting products.